Nigerian Air Force (NAF) jet fighters and attack helicopters yesterday bombarded terrorist locations in Ngwuri Gana in Borno State. The attack followed reports that large numbers of Boko Haram operatives were planning to launch attacks on troop positions from the identified settlement. The bombings led to the death of many of the terrorists and the destruction of the groupâ€™s communication centre where its flag was hoisted. Confirming the development, NAF, spokesman, Air Commodore Ibikunle Daramola, said NAF launched coordinated attacks on various targets. â€œThe Air Task Force (ATF) of Operation Lafiya Dole, yesterday, destroyed a Boko Haram camp and neutralised several terrorists at Ngwuri Gana in Borno State. â€œThe operation was carried out based on human intelligence reports indicating that the settlement was one of the locations from where terrorists launch attacks against troopsâ€™ positions and villages around the general area of Kumshe. â€œIntelligence, Surveillance and Reconnaissance (ISR) missions later confirmed the presence of a large number of the terrorists in the settlement and also identified a suspected communications centre with Boko Haram flag and solar panels mounted. â€œAccordingly, the ATF launched a coordinated attack on various targets within the settlement employing Alpha Jet and F-7Ni aircraft as well as Mi-35 attack helicopters leading to the destruction of communication centre and neutralisation of several terroristsâ€, he said. 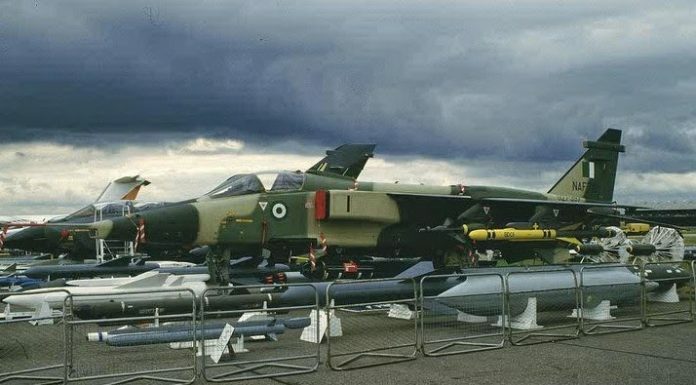 Daramola said â€œthe NAF, working in concert with surface forces, will sustain the tempo of operations with a view to destroying all remnants of the terrorists in Borno Stateâ€. Borno state should be security tight!